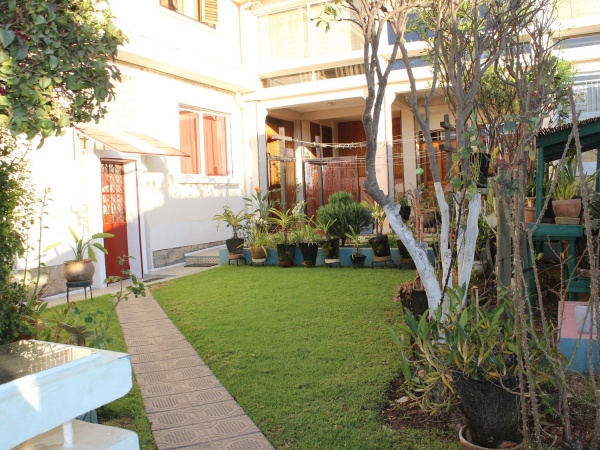 Fara's Guest House is a spacious Malagasy house with accommodation close to the centre of Antananarivo. 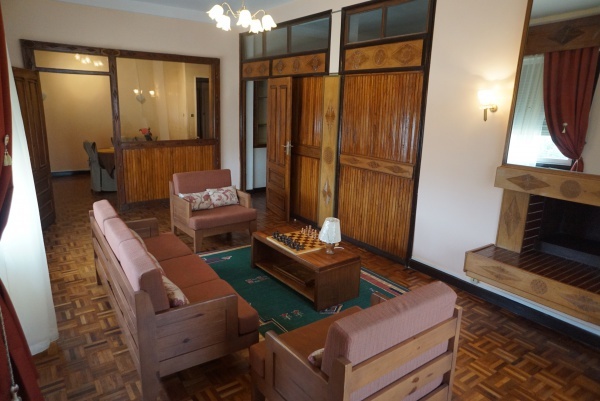 Since September 2015 the newly opened guest house offers rooms to visiting tourists as well as to long-term guests on business trips to the capital. Fara's Guest House is divided into 1 room for 2 persons (ca. 30m²) with double bed and shared bathroom (EUR 20 per night including breakfast), 1 room for 2 persons (ca. 30m²) with double bed and private bathroom (EUR 25 per night including breakfast) and 1 room for 4 persons (ca. 30m²) with double bed, bunk bed and shared bathroom (EUR 25 per night including breakfast). The shared bathroom has a shower/bathtub and WC. The living room of about 50m² with sofa and armchairs includes a fireplace for guests to warm up during the colder months of the year. Adjoined to the living room is a dining room (ca. 30m²). The shared spacious kitchen is well-equipped with all essential kitchen utensils, fridge and a microwave. There is an open-air courtyard with a BBQ area for those wishing to dine under the stars. The host of the guest house, Fara, is a passionate cook and happy to prepare traditional Malagasy meals for lunch and dinner. Fara and her husband Richard spent many years in Germany and now live next door to the guest house. They both speak fluent French, English, German and of course Malagasy. Wifi and a private parking area is free to all guests. On the ground floor of the building a separate business centre is planned. A 24x7 private medical practice, Centre Medical Andrindra, occupies the top floor. Fara's Guest House also offers massages by a trained massage therapist using Homeopharma's unique range of products. Madagascar is very rich in aromatic and medicinal plants and Homeopharma produces a wide range of health products made from often endemic plant spieces of the country. Tana's city centre can be reached by foot within half an hour. There is also a bus stop and a taxi service outside the house. An approximately 30 minutes walk leads to the famous Manjakamiadana Rova - the Queens Palace and landmark of Antananarivo. The royal tomb of King Andriamanelo in Alasora, one of the twelve sacred hills, can be reached by bus in 30 minutes. Still today Malagasy people pilgrim to this sacred location to pray and speak out their wishes. Tsimbazaza, a zoological and botanical garden, is locaded 15 minutes by foot from the guest house. This page was last modified on 11 October 2016, at 08:16.